Listening to APM Marketplace discuss the announcement of the new Amazon Freerive service that’s teamed up with IMDB, they talked about the value to Amazon and the content providers through ad support. Trust us, this has nothing to do with ad dollars coming in, but more about acquiring more data about potential Amazon shoppers who may not be buying from Amazon now. Amazon spends a lot of money with Google for ads now to drive sales, and what Freedive does is gives them yet another way to refine data about people who aren’t in their ecosystem due to cost. Amazon Prime isn’t for everyone. And there is a large part of America that can’t afford Netflix, Hulu, and all the other streaming services, yet still have a cell phone. Netflix has partnered with T-Mobile to offer free Netflix to it’s subscribers, and with the impending merger of T-Mobile with Sprint, Amazon may have to renegotiate wireless partners – Kindles used to be connected via Sprint but are now with AT&T and Prime can be bundled with Sprint Cell service. It’s starting to get messy. But, the fact remains, the number one advertiser on Freedive will probably be Amazon, which already sells ads on their platform to manufacturers and retailers- and may bundle in ads on Freedive. Ultimately, Amazon still understands that ad supported content has value- especially when driven by digitally connected devices. 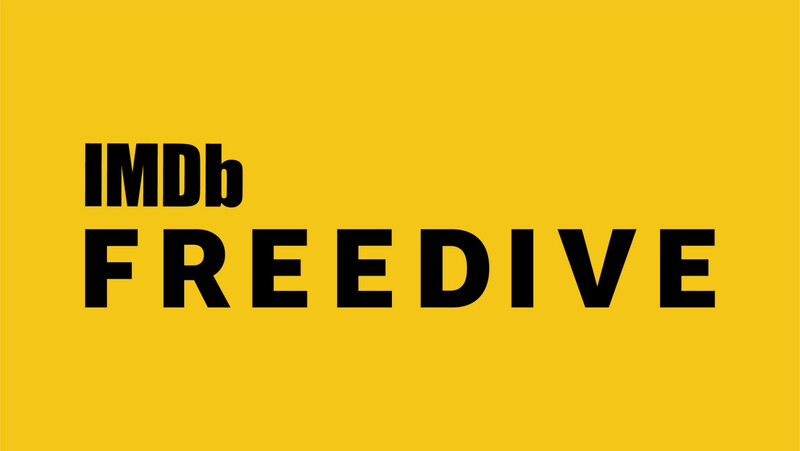 Freedive is the future of broadcast television- with consumer level targeting of ads, with instant feedback. The real question is will they allow you to skip an ad to replace it with one you are interested in? That’s the holy grail of targeted ad platforms. Amazon understands that while subscriptions are great for somethings, after a while, your subscriptions will start to show up on your credit report at the rate we’re going. You subscribe to software like Adobe Creative Suite or Microsoft Office to work, you subscribe to an ISP to provide the data, you subscribe to Netflix for movies, Prime for shopping, a wireless company for cell service (note- 5G could kill off ISPs) Dollar Shave Club for razor blades, Blue Apron for meals, the list goes on. At some point, consumers can only bear so many monthly bills outside of rent/mortgage, utilities, insurance, transportation expenses etc. Ad supported media may be making a comeback. Freedive isn’t the first and won’t be the last. At some point, Facebook may suffer some rejection by users who aren’t being compensated for their content on the platform. And while Netflix is a subscription- an ad supported version may not be far off. That this is teamed up with IMDB and not clearly an Amazon product is another stroke of smarts. IMDB is an incredible viable and valuable online community where the contributors share knowledge willingly without compensation. This service only rewards them and helps support their site. One day, Wikipedia may have to look at this model as well. When Amazon’s CEO Jeff Bezos bought the Washington Post and offered subscriptions for $100 a year (and a discount to Prime Members), it should have been viewed as just another way to connect consumers with the retail giant and providing data for targeting. At half the price of the NY Times, the difference becomes that the owners of the NY Times don’t have a mega-advertiser subsidizing them. Look for Amazon/Bezos to expand their newspaper holdings to gain eyeballs for Amazon ads. Ad revenue might be driving the bottom line for Facebook and Alphabet for the folks on Wall Street- but, the real goldmine is and always be the connection of data with an individual consumer for targeting. Freedive will do just fine for Amazon, even if the ad revenue never amounts to much. Increased sales for nominal extra costs are a good thing for Amazon. An advertisers life was much easier when there were only 3 tv networks. Reaching everyone in the country wasn’t too difficult. Now, we know that even presidential campaigns need to spend billions to reach the entire country- and even then, there is overkill since there are still a lot of people who aren’t even registered to vote. How is your EHR free? We have a unique ad-supported model. This allows us to provide a world-class EHR technology at no cost to you. These ads never pop up, never interfere with your workflow, and only display one at a time—see a sample ad here. We also make sure to provide you with ads that add value, such as co-pay coupons for your patients. A paid ad-free version of the EHR is available upon request. via Free EMR | Providers of Medical EMR Programs and Services. With pharmaceutical companies spending hundreds of millions to reach physicians to inform them of their newest drugs- Practice Fusion is in the enviable position of being able to put an ad in front of a physician while in the process of prescribing for that exact ailment. The ultimate sponsored search ad may be helping to keep the costs of health care down. What other new media channels are being built to reach very specific markets by providing service in exchange for attention? Imagine what could happen when textbook companies see this as the new model? Will Google enter this focused market model too? It could be even more lucrative than search. Even if you can reach all of your current and potential customers- they are still being barraged with messages- making yours stand out is increasingly difficult. It costs way more to get a new customer than to continue to sell to an existing one. Put all the above factors together- and all of a sudden, handwritten notes start making sense. The “Thank You” note, long a staple of non-profit fundraisers- and boutique clothiers- is now becoming a very effective tool to implement in any business. Then, a couple weeks later they both got letters in the mail from the saleswoman who’d helped them. They were thank you notes. Turns out they’d gone to the same school. And, I’ll admit the purse Sarah bought wasn’t exactly cheap. It was Marc Jacobs, about $400. But it’s not just pricey department stores that are beefing up their manners. When the recession hit, JCPenney started a customer service program called GREAT. It’s an acronym for salespeople: Greet. Respect. Engage. Assist. And Thank. And other retailers are following suit. Brett Brohl: I’ve written, at least 2,000 thank yous just in the last 12 months. Brett Brohl: If you Google the word “scrubs,” we’re not on the front page, we’re not on the second page. And just like every other industry right now, competition’s tough and with less people buying, it’s even tougher. Brohl says, a new company like his can’t afford major marketing like TV commercials. Instead, he says, he’s counting on thank you notes to help Scrubadoo stand out. So is this the beginning of a new trend of exemplary customer service? Nancy Koehn is a retail historian, at Harvard. She says for smart businesses it is. Nancy Koehn: We’re returning to civility, courtesy and a way of actually honoring customers that has seemed far too absent, I think, for the last 20 years. Koehn says the role of the salesperson has changed a lot over the decades. Before the recession, a salesperson’s job had morphed into managing transactions: Bagging groceries, dispensing coffee, ringing up a sale. She says the more we’ve absorbed technology, like self-service check-out at the grocery store, the more retail businesses have reduced service. 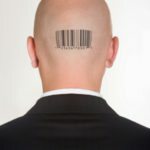 Now, the role of the salesperson is changing again. I’m at a perfume counter at Saks Fifth Avenue with James McLaughlin. He works for a fragrance company called Jo Malone. McLaughlin says its sales people have been sending thank you notes for years. They’re scented. But now, he says the company spends 20 percent more time, on expressing gratitude — everything from hand and arm massages to wine tastings for customers. James McLaughlin: We oftentimes will liken the experience as dating. You have a really great first date, and then the person calls you three months later when there’s a sale going on and says, “How about a second date?” Why would they bother? You didn’t keep in touch. via The power of a simple “thank you” | Marketplace From American Public Media. But just saying “Thank you” isn’t really enough- you need to build a customer relationship management system- one that has all their quirks, likes, dislikes- size etc. in it. Good clothing salespeople used to keep little 3×5 cards with all the data on their clientele- as did smart hair stylists- and even a few bar keeps. The more you know about your customers- the better able you are to solve their problems and be a trusted part of their business. Luckily, today technology offers us all kinds of tools to do this. First we had Personal Information Managers- with software like ACT and Goldmine. Then they became enterprise level- where all the data was stored centrally. SAP, Salesforce are some of the better known systems. Of course, there are also “free” Open Source alternatives- like SugarCRM and its stripped down fork vTigerCRM. I included the intro to ACT video to introduce you to the concept of CRM systems- not as an endorsement of one over the other. Having a lot of social media contacts might be nice- but it’s what you do with them that matters. We have lots of information- it’s how we utilize it that counts these days. Integrate a CRM tool with your website- and you have a lead collection system. There are plenty of options out there- we’ve been using vTigerCRM at The Next Wave. We consider it, along with internal wikis, part of our toolbox for building our own media channel- and of knowing everything there is to know about our clients, to strengthen the relationships. Sending a handwritten note is good, but making sure to follow up is even more important. Utilizing the high tech CRM systems to keep track of all our efforts gives us the best chance of keeping doing business with our existing clients- and in prospecting for new ones. So, before you spend $3.5 million on a Superbowl spot- think about how you can build a CRM system to keep close to the clients you already have. Is CRM the next wave in marketing? Customer Relationship Management (CRM) has been around for a while. What’s changing is that old ways of reaching and interacting with customers just aren’t working the way they used to. Now, more than ever, it’s about doing business with people you know and brands you trust. Brand value isn’t just connected to sales, image or size, it’s now based on how well you build and maintain trust with your customers and potential customers. For service to be outstanding, the more you know about your customer, the more opportunities you have to over-deliver and build wow factor into every transaction. We’ve been looking at data driven CRM and how the 800 lb gorilla in the market is Google with the amount of knowledge they can gleen from your surfing habits, your e-mail (via g-mail) and the relationships you establish online (through links and locations online). Google may become the central clearinghouse for all things advertising, while taking a nice cut to be the agent in between advertisers and customers. Unless you like the idea of paying a middleman, now is the time to start harvesting your data that resides in your A/R files, your Rolodex and card files- looking to establish and continue relationships with people that already know you. Maintaining connections within your sphere of influence can be time consuming and difficult, if done on an individual basis. Opportunities may be missed, or overlooked due to changing priorities and being asked to do more with less. We’ve started looking deeply into online CRM tools like the open source software SugarCRM and it’s offshoot vTigerCRM at The Next Wave. Our goal is to make sure we maintain our relationships in a systematized fashion, where the entire organization has access to our collective customer base. There are plenty of other CRM systems out there, including Salseforce.com and solutions from Oracle, SAP and down to ACT! and Goldmine, however, it’s our philosophy to believe in the power of open source to eventually eclipse the closed wall competition. If your organization hasn’t implemented a CRM system as part of your marketing plan, it’s time to start. One of the problems with affinity programs is that they force the customer to carry a card for every retailer. The same can be said for membership programs- like my Y membership card. Besides making my wallet thicker than a Whopper®, the amount of time searching for the right card slows down the check out/in process. Some of the credit card companies have experimented with RFID chips in small dongles, “speed pass” etc, yet, this is just another piece of branded trash that’s being forced into my pocket. In Japan, cell phones have been used to connect to everything from soda machines to public transit, with the billing being handled by the telco provider. its latest mobile application for personal card management. The program allows users to digitally upload their customer-reward and club cards, enabling cashiers to scan the barcode displayed on the touchscreen, instead of having to bring the card with them. CardStar contains a merchant list of over 100 companies, with six different categories, and supports barcode formats for most commonly used cards including code 39, code 128, EAN 13, and UPCA.Available categories include travel, retail, grocery, gym, entertainment, and drug store. An advanced option allows addition of cards that are not currently included in the merchant lists. CardStar can be purchased from the App Store and is priced at $1. MacNN | CardStar provides reward/club card tools on iPhone. Marketers should be rushing to embrace this kind of customer centric use of technology to make it easier for consumers to keep connected with your brand. Besides, I keep breaking my YMCA keyfob membership number, but, knock on wood, my iPhone can’t snap in half. Shrinking newsrooms. Falling operating margins. Double-digit declines in ad revenue. American newspapers today are awash in ink—but the ink is red. Soaring newsprint prices and stalled ad business have, in fact, led analysts to call this year the worst for newspapers since the Great Depression. A recent Pew Research Center survey illuminated the sorry situation. More than half of 259 papers polled reported cutting full-time newsroom staff and the news hole over the past three years. Large dailies have been hit hardest, with waves of layoffs sweeping through the Atlanta Journal-Constitution, The Washington Post, the Tribune and McClatchy companies, and others. And if you read the whole Media Week Wake for the industry, you’ll be even farther down the wrong road than the papers are as they toodle off to meet their maker. Newspapers should be thriving right now- because they are content creators- and content creators are the mac daddy of the digital world. The problems extend way beyond their model of delivery- they’d do well to go read Nicholas Negroponte’s excellent, 1996 book “Being Digital” to get a clue. Usually, as an industry is in decline, the best version of the product appears. This hasn’t been happening in newspapers due to fundamental flaws in the idea of separation of editorial content and the business side. Look at Google to get a clue. 70% of users ignore the sponsored ads- probably like 70% of newspaper ads get ignored too. The difference between the two- is Google understands it’s brought to you by those advertisers and does everything possible to make their ads relevant to the content on the page. Take that model and look at your delivery of content and ads in any newspaper. No connection whatsoever. Instead of learning about their readers, newspaper editors have for years thought it was their job to teach us about the world. That kind of arrogance today just doesn’t cut it. There has to be a quidpro-quo in the exchange of news and ideas. We’re not talking TO our audience, we’re talking with them. Tell that to editorial boards around the country. Next- we’re living in a world of information junkies. People are in constant contact via computer, pda, phone etc. How any newspaper can live on a “Daily” news cycle is nuts. The actual paper they print on is their biggest mistake. Think about it. A Kindle is $359, the cost of a years subscription to a paper- highly subsidized by advertisers who aren’t getting any feedback at all-is around $200- instead of delivering a one directional piece of daily garbage to the door- doesn’t it make more sense to give them a Kindle with a 2 year commitment? And, then charge advertisers via pay per click? Instead of increasing content, most are shrinking their news hole. That’s the last thing Google would do- shrink the number of responses it gives. Sure, no one looks to see who comes last out of the 1,287,000 results, but, the reality is- people want more content, they want video, photos, charts, links to relevant information to explore and verify if you are indeed giving them “all the news that’s fit to print” (or in this case “distribute”). The value is in knowing your customers better by watching what they read, what they click on- and then giving advertisers access to the exact customer they are looking for. No advertiser needs a million impressions of anything. They need buyers. This is where newspapers haven’t made any advancement at all. Even the New York Times who seems to be getting it- still serves me with the same ad for a Westin hotel at the bottom of my iPhone reader- over and over- even though I don’t often stay in hotels- and there isn’t a Westin anywhere near me. Sorry- NYT, you are missing your role in selling the ad right. Even when Newspapers do build in “Web 2.0” features- few give the consumers who comment any “Respect” back. I’ve not seen a newspaper that provides a subscribe to comments feature via e-mail- which I believe can be easier than adding a feed. Few allow you to build back links to your site- a reason the most savvy bloggers leave comments. And lastly- they insist on limits of 3000 characters- or some other arbitrary “control freak” tendency. Sorry- but space on a hard drive shouldn’t be an issue – you want the people on your site, writing away- for as long as possible. Some people don’t mind when the Cheesecake Factory hands you a menu that’s full of ads, but any kind of Pop-up, drop down, walk-over or auto-play ad on your site is intrusive and offensive. Newspapers may be desperate for ad revenue, but getting in my way of ease of use doesn’t make me like an advertiser more. It also doesn’t help if it’s not relevant (see above). Car dealers who are used to screaming in their TV ads seem to love intruding on my web reading: here is a hint: STOP. And if you can’t give up on your multi-million dollar printing press dinosaurs, at least, think about this: design matters. The great copywriter Howard Luck Gossage said “people don’t read ads, they read what interests them, and sometimes it’s an ad”- so how come I can look at beautiful magazines all day long, and most newspapers still look like they were designed either for a LinoType or a comic book? Where is the grace of great typography which we can do faster, better than before- where are the beautiful photos that we can gather 10 frames per second without having to wait for developer and prints? The paper is at the end of it’s existance as a paper- make it great. Last but not least: CONTENT RULES. While I can get content of the world straight from the horses mouth in any language on any continent at this point- why are you still giving me a menu based on what you think is relevant instead of what I like and need. No, I’m not talking about custom portals- but, figure out how to be intelligent in suggesting other similar content. Give me the links to the sources you used in your research, build a relationship between the news editor and the news reader. It may get dangerous with the best editors building their own following- but, hey, at least they’ll still have jobs, unlike the rest of you if you continue on the path that you are on. There is more, but this is to whet your whistle. We’d be happy to teach your newsroom on how to survive in a web 2.0 world. That’s what we do at The Next Wave, marketing • innovation.